We all enjoy watching television soaps and various television programmes of diverse moods and styles. As the common audience, we savour each emotion and forget it completely the moment the idiot box is switched off. What we forget is that each television programme is the brain child of some great TV writer. We forget that there are individuals who create the whole storyline and present it in a manner that pleases the audience. Yet there are many young aspirants who emerge from the young audiences and express their desire to contribute to this brainstorming. These young lads have dreams and ideas but what they truly lack is a direction. They really do not know where to begin and how to move ahead and pursue the career of a TV writer. This article is a guide to all the young aspirants so that they can become a TV writer without any hassles. Before you plan to pursue a career in television writing, you need to know whether you are an ideal candidate for the role. Simply having a liking for television programmes does not make you an ideal candidate for the post. There are some qualities that you need to possess if you wish to excel in this field. Self-analyze yourself by going through the list of attributes given below. Do you have ample story ideas? If you plan to pursue a career as a TV writer, you need to have ample story ideas. You should be able to make stories that intrigue, interest and capture the audiences. It is not just the basic idea of the story but also how you present the story that draws the audiences to your serial or soap. You need to understand what the audience will enjoy. You should be able to spice up a plain looking event with the right action and drama so that it appears appealing to the audiences. George Bernard Shaw’s ‘Pygmalion’ was surely an interesting story but it remains in the minds of the audiences as the evergreen musical ‘My Fair Lady’. Do you have proficiency in language? Language proficiency is vital if you wish to write stories for the television. A mistake in what you write can truly be criminal when you are writing it for the media. You need to understand the words, phrases and scripting as well as the emotions each one of these can create. Presenting a story in the proper fashion helps you convey the message properly. The scripts for live shows and documentaries can be even more difficult. The media shows are always in limelight and a small mistake can completely ruin your career. If you think you are not proficient in language but possess all the other skills required of a TV writer, you can take time out and hone your language skills. You may have to put in efforts if you wish to enter your dream career. Do you know how to arrange events in a sequence? When you are preparing scripts for TV shows the correct order of events also has a lot of importance. The wrong arrangement of events can change the meaning conveyed. You need to understand what sequence of events can bring out maximum emotions. Are you able to identify what draws the audience? A skilled TV writer knows his audience well. He knows what his audience expects from him. When a show is presented on the television, a TV writer has a fair idea what kind of reactions to expect from the audiences. The years of experience only help to create a script to match the audience’s choices. If you are pursuing a certain field, you need to have certain role models in mind. You can gain inspiration from your role models and follow their path to success. Once you succeed, you will have eked a path of your own and many young and budding writers would want to choose the same path. Role models also help you realize that you cannot succeed unless you face the hurdles valiantly. Once you have decided that you have selected the right career and it suits you perfectly, you need to start working on yourself so that you become completely eligible for the profile. Here are some tips and suggestions to help you out. Research is extremely important if you wish to succeed in the career of a TV writer. Be prepared to invest hours on books and magazines about television industry and script writing. You can read the success stories of different TV writers and know the ways in which they have achieved their goals. The search engines have actually simplified research to a great extent. You can check out the multiple websites that have all the information you need regarding television writing. You may also check out the interviews of great TV producers to gather information and prepare a small folder of these interviews and extracts. You may use this as a reference as you achieve laurels in the field. You must never forget the beginning and the stages of ascending the success ladder. A thorough research helps you gain knowledge but unless you practice your trade, you will never have the courage to make a beginning. You can start by observing several shows and selecting the type of show for which you wish to write a story. You can create a rough outline of the story first. After that, you need to write the script for each character in the show. Make sure you write the dialogues in a manner that reflects the personality trait of the individual. A serious person should be given a bold dialogue while a funny character may be given a humorous punch line. While writing for a television show, you need to visualize how the script will appear on the television and how the audience will react to it. Make sure you collect all the scripts you have created and gather it in one place. You need to get your copyright so that no one can steal your script of an idea. You will gain confidence once you have several such stories created. Once you have one big collection of stories and ideas and you are sure and confident about these, you need to start looking for avenues where you can use your talent and skill. The best way to search for influential contacts in your field is by getting in touch with people you know who are already working for the television industry. They will help you out and you can stay safe from scams. Be aware that you do not need to bribe people to get started in the television writing profession. When you get in touch with contacts, you can show them your idea or the gist of the story. If they like it, they may consider going ahead with the show. If your contacts reject the story, don’t be disheartened. As it is truly said, ‘failures are stepping stones to success’. You need to be strong and look for the next opportunity. There are few people who have direct contacts in the television industry. Search engines are the modern day way to find contacts. There are several job portals, blogs and websites where you can find information about different television artists and directors. You can continuously search on different portals and you will definitely find the appropriate opportunity soon. You must not neglect your social profile on Facebook and Twitter. Make sure you update your skills and your professional details on these social platforms. You never know which doors the opportunity will knock on so don’t leave a single stone unturned. Before you start off as an independent television writer, you need to gain experience in the field. Experience helps you furnish your skills. It also helps you gain practical knowledge regarding your trade. You need to take your years as a struggle also seriously. You can start off in your career by assisting some popular television writer or producer. While assisting them, you will understand the do’s and the Don’ts of the industry. 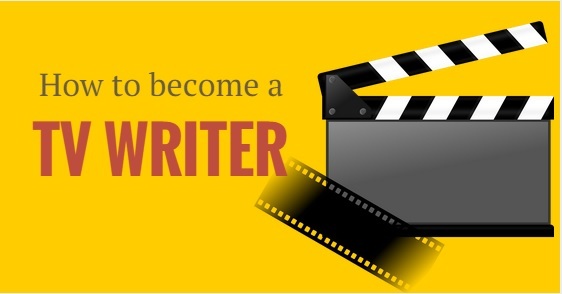 It will help you evolve as a better television writer. Even while you assist an experienced person, do not give up practising. You may write your ideas and take it to your seniors for their suggestions and opinions. Their opinions will be backed by years of experience and you need to take it in a positive sense. Professional jealousy and ego will prevent you from progressing so make sure you keep an open mind. Once you know that you are in a position to write your story independently, you may move to the next stage. You can plan to start off on your own. This is possible only after you have gained sufficient knowledge and experience. Once you have gained success in one of your stories, your career will be very smooth. Talented television writers are rare to find and the industry cannot afford to lose you.